A truly unique and beautiful metal wall art set, the Vintage Bird Panels Metal Wall Art adds artistic personality and beauty to any room. Each set includes two wall panels which each feature a cutout metal bird and tree design layered above an antique-style print. 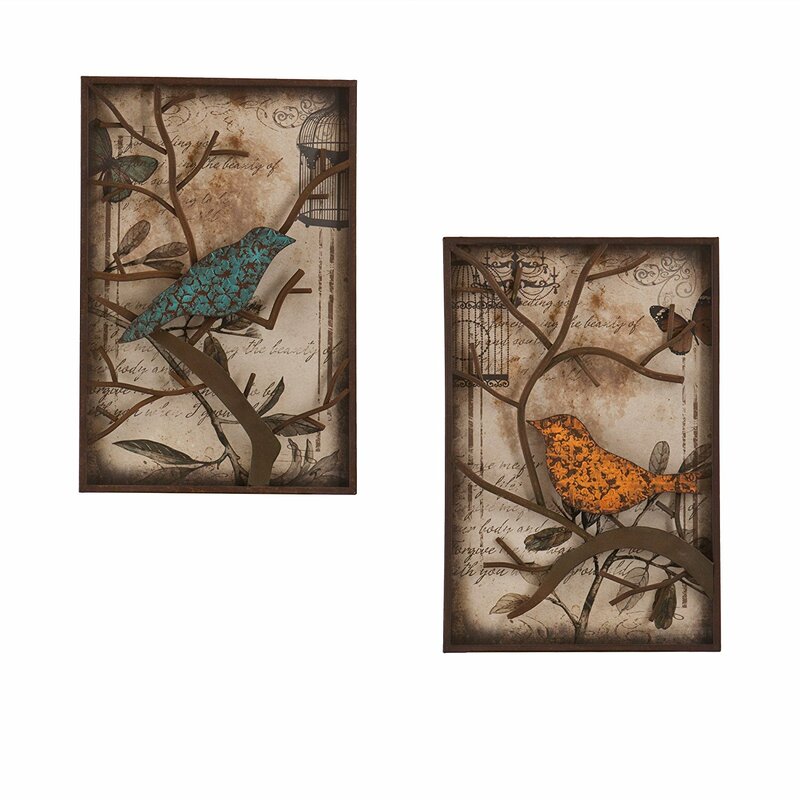 Vintage style and organic inspiration combine in this gorgeous wall panel set. 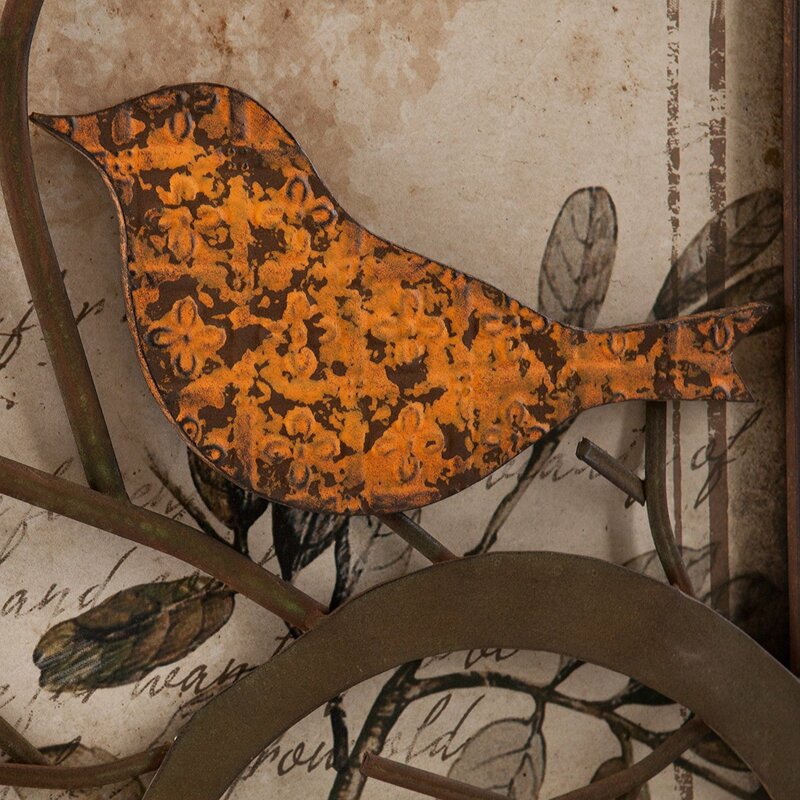 The two cutouts each feature a bird on a branch; one is blue and the other is orange and each branch is a lovely aged metal finish. This enchanting piece is just one of the tons of delightful furniture & decor products that Art & Home has selected to help you embellish your home. To accomplish this Art & Home has partnered with some of today’s best home decor retailers to bring you some of the most fantastic home decor elements available on the market today. Through this and other affiliations, Art & Home is empowered to provide you with access to heaps of gorgeous home decor products and save you the time & aggravation of surfing dozens of different retail websites. From Wall Art to Coffee Tables to Tapestry Wall Hangings, Art & Home concentrates on showcasing the most amazing furniture & decor so that you can create the home of your dreams. As a family owned and operated company, Art & Home knows how important it is to love your home. Buying from our retail partners is easy. Simply click on the “Unlock Current Deal” button above to see the complete details, up-to-date pricing, and obtain a shipping estimate to your location. We hope you enjoy exploring this breathtaking collection as much as we enjoyed crafting it.